We believe in supporting those who support us and proudly invest in our local community. The Doran Financial Services team regularly participates in fundraising activities for local schools and sporting groups. We are also ongoing sponsors of the Sutherland Loftus Junior Rugby League Football Club, the Cronulla Surf Life Saving Club and the Shark Island Swim challenge. Doran Financial Services are the major sponsor for the Under 10 teams. 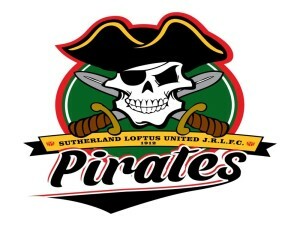 Founded in 1912, the Sutherland Loftus United JRLF club supports grassroots players and is responsible for setting over seventy players on the path to rugby league glory, playing for teams such as St. George, Canterbury, Cronulla Sutherland, Newtown and Eastern Suburbs. To find out more about the club and its history click here. 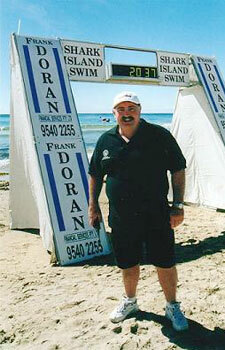 Doran Financial Services were the major sponsor of the Shark Island Swim Challenge for 15 years and still continue as a sponsor. This 2.3km ocean swim off Cronulla beach is run by the Cronulla Surf Life Saving Club (SLSC) and is a popular ocean race on the Australian circuit. Prior winners include Iron Man Ky Hurst, Olympian Craig Stevens and Commonwealth Games Champion Stacey Gartrell. Competitors claim the Shark Island Swim is among the best ocean contests due to its organisation and safety aspects. Frank has been a member of the Organising Committee for many years. A major fundraiser for the club it provides vital rescue equipment to ensure the members can better help the community. To find out more about the Shark Island Swim Challenge click here. Doran Financial Services is a proud sponsor and Frank is also an active member of the Club. 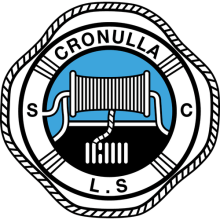 Founded in 1907, Cronulla Surf Life Saving Club is one of the strongest clubs in the surf life saving movement. They provide water safety awareness and maintain patrolled beaches throughout the Bate Bay area. For the past 25 years they have consistently placed in the top 10 clubs at the Australian Championships and the Cronulla Crays Nippers are the largest junior activities group in NSW. To find out more about Cronulla SLSC click here.